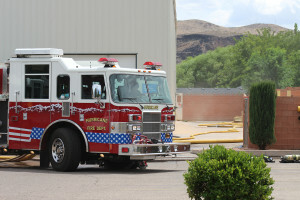 LAVERKIN — Agencies from around Southern Utah responded to a structure fire at SKF Manufacturing on Center Street in LaVerkin Saturday. Firefighters were paged out to the fire at about 1:30 p.m., Hurricane Valley Fire Chief Tom Kuhlmann said. Dawn McDowell, SKF Manufacturing’s operations manager, had been alerted about the fire by an alarm company and arrived at the scene about the same time the firefighters did. She was able to unlock the building, which had been closed down for the weekend, so the firefighters didn’t have to force entry. When responders got to the building, there was smoke pouring out of the windows, and they had to send a team in to track down the location of the actual fire. 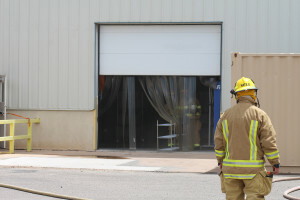 The team ended up finding the fire had originated in the area of one of the processing machines in the back corner of the building, Kuhlmann said. The responders had the fire controlled by 2:30 p.m. The cause of the fire is still under investigation, Kuhlmann said, and the extent of the damage is not yet known as this report is published. There were no people in the building at the time the fire started, so no injuries resulted from the incident. The fire was contained to the inside of the building. The building has a sprinkler system in place, which came on during the fire, and firefighters backed up the sprinklers with hoses to control the blaze. McDowell said that in the 24 years she has worked at SKF, there have been no other fires there. SKF’s factory in LaVerkin manufactures hydraulic seals, she said. 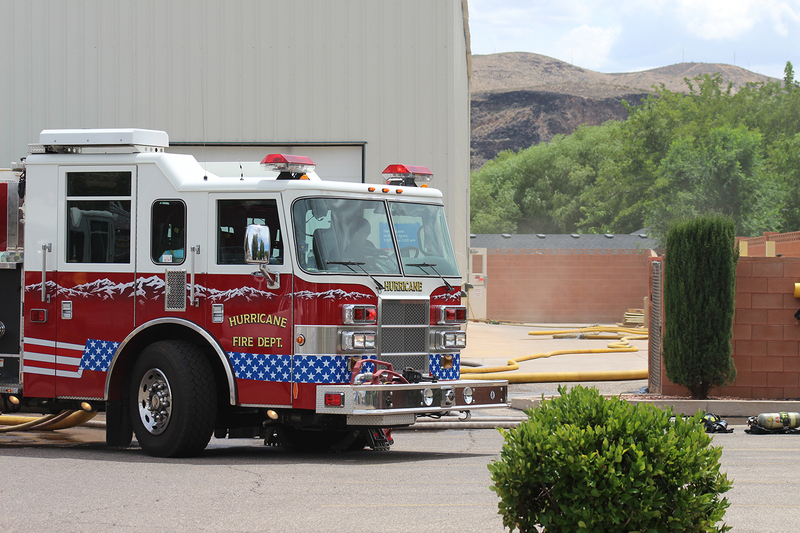 In addition to crews from Hurricane Valley Fire and Rescue, firefighters from Colorado City, Hildale and Washington City also responded to help put out the fire. 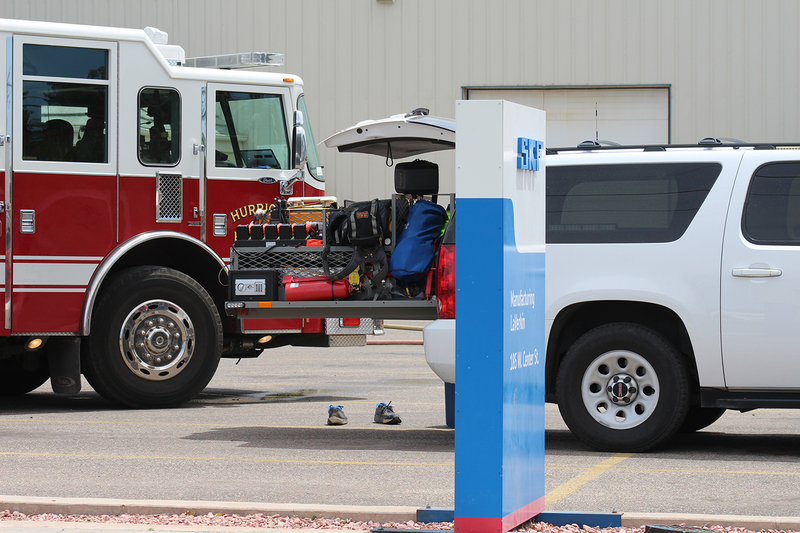 EMTs from Hurricane Valley were also at the scene, as were employees from Rocky Mountain Power and Questar Gas, who were on hand to make sure there were no issues with power and gas lines.